Sunday afternoon, the U.S. Men’s National Team took on Serbia in Bruce Arena’s first match back in charge. 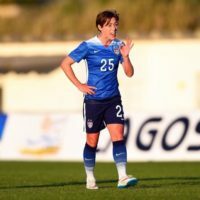 With European leagues still in full swing, the US roster was made up of entirely MLS players, while Serbia turned to domestic-based players as well. The argument could certainly be made that this was a matchup between the two nations’ “B-Teams,” but it gave the players a chance to impress their managers and push their way into the squad for the competitive matches to come. 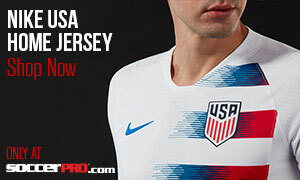 Would Arena’s MLSers be able to take advantage of this opportunity, or would it be another day to forget for American fans? Through the opening stages of the match, it was clear that both sides were still trying to develop chemistry on the pitch. The US dominated possession, and the majority of play occurred in Serbia’s half, but they struggled to create any meaningful chances. 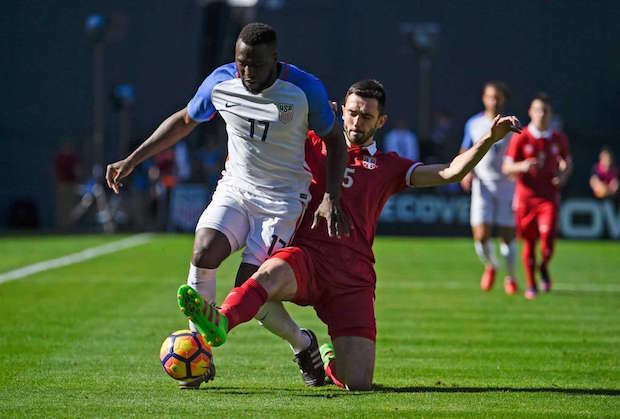 Jozy Altidore, who was playing his 100th match for the national team, had a difficult time getting the ball, and Serbia’s physicality appeared to neutralize him as an attacking threat. 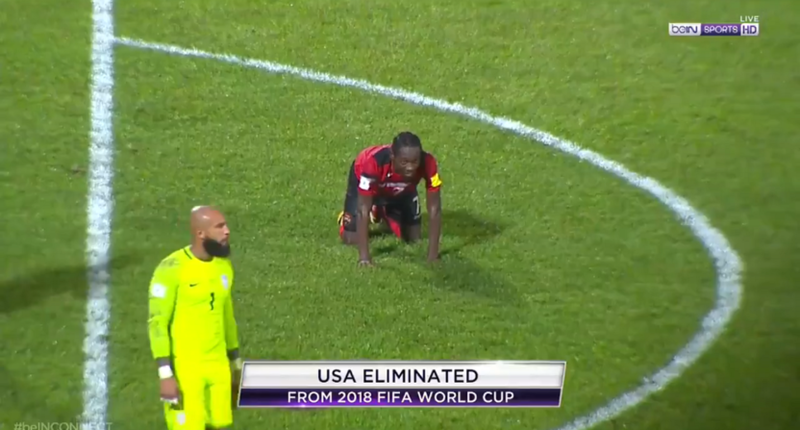 Darlington Nagbe, who had reportedly fallen out with Jürgen Klinsmann in the final weeks of his reign, came within inches of giving the US the lead in the 28th minute, but his curled shot drifted just wide of the far post. He mirrored this miss 10 minutes later, and the US’s attacking frustration continued. Despite the “friendly” designation that this match had, the two sides both showed a lot of intensity and a little animosity through the opening 45 minutes. Sadly, this intensity did not lead to any goals as the sides went into the intermission deadlocked at 0-0. It was nearly a dream start to the second half for the US, but Altidore’s tight-angle show was expertly turned away by Filip Manojlovic in the 48th minute. 10 minutes later, Sacha Kljestan sent a header just wide from Sebastian Lleget’s cross. Would Serbia be able to take advantage of the US’s inability to finish? As the second half dragged on, the US continued to dominate possession. There were a couple of defensive slips that nearly gifted Serbia an opening goal, but Nick Rimando did enough each time to maintain his clean sheet. Even with their advantage in possession, the US continued to struggle in front of goal as attack after attack fizzled out. In the 90th minute, Lazar Jovanovic gave Rimando his first real test of the match with a near post drive, and the Real Salt Lake keeper came up with a great save. The ensuing counter attack saw Juan Agudelo dispossessed in the penalty area with the ball somehow rolling to Chris Pontius. Pontius’ shot seemed destined for the bottom corner, but it rolled wide just like every other great American chance on the day. Unfortunately for the home fans, Pontius’ miss was the last action of the day as the US failed to get past Serbia’s jet-lagged B-Team. As disappointing as the goalless draw was, there were some positives to take away from it. For the first time in a while, the Americans showed attacking intent right from the start. Even if this shift in tactics didn’t pay immediate dividends, it was encouraging to see players like Kljestan and Nagbe pulling the strings in the midfield. Next up for the US is a visit from Jamaica on Friday. 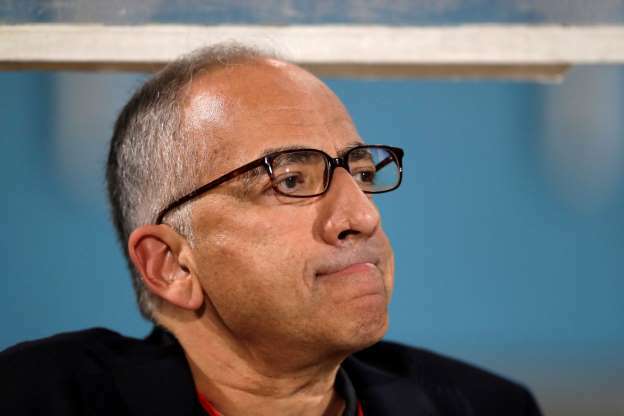 Hopefully, Bruce Arena’s tactical change will look a little bit more cohesive against the Reggae Boyz, otherwise, fans may start to grow a little bit more concerned about the team’s immediate future.